Nick Chubb is finally here. The hype of Nick Chubb in college is real and he proved it this weekend when he rushed for 176 yards the ground and 33 more receiving, tacking on 2 touchdowns. 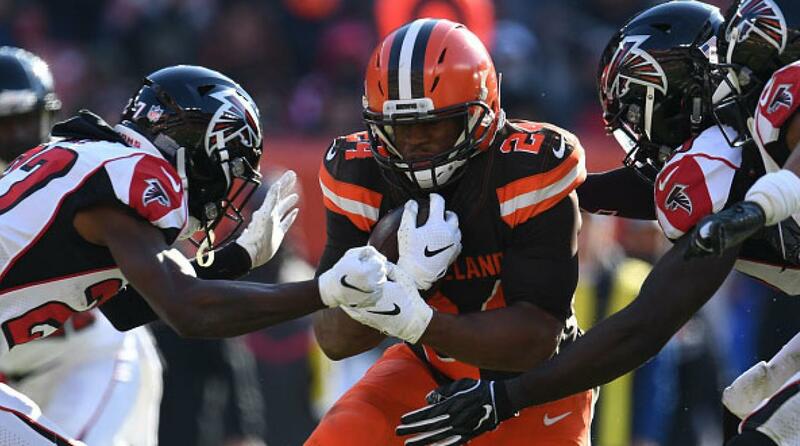 The former UGA Bulldog is running like he is a freight train which is why the NFL fan base should give him the nickname Nick “the nightmare train” Chubb. Chubb broke off for a 92 yard touchdown in the third quarter, the longest touchdown in 2018. He beat his home state team the Falcons 28-16 and is one of best healthy starting bulldogs this year…. well besides a guy names Todd Gurley. Chubb has 579 yards rushing, which is crazy since he has only technically started 3 games.